Barriers to great leadership can be set up by others or self-imposed. Either way these barriers create a hurdle that has to be overcome in order to deliver good communication, knowledge and ideas. Many aspiring leaders stumble because they fail to recognise the barriers they are creating through lack of attention to detail. However, with a little bit of self-awareness the blocks and barriers can be easily removed and focus can once again be improved upon. Although confidence is an important leadership quality, having a little too much of this is considered as arrogance. If you are a leader you will be required to use your confidence to influence others and to communicate intention and ideas. This information should be delivered in an inspired manner that encourages and motivates others. Confidence however, has a tendency to grow if not managed properly, and when this happens arrogance takes over and begins to make demands. Arrogance shows a leader has no respect for his/her team and can impact on individuals in many negative ways. It is therefore important to understand and learn how to balance confidence with other leadership skills if a leader wants to be the best they can be. Without trust it is very difficult for a leader to get others to do as they ask. A leader needs to impart knowledge, information and ideas in a way that demonstrates honesty and integrity. If others do not trust a leader they will become resistant to whatever the leader suggests or requires. To motivate and inspire others a leader therefore has to inspire trust, as well as act accordingly in any situation. This is best achieved by being honest and trustworthy at all times. A team will look to their leader as an example of how things should be done. If a leader constantly works at a frantic pace but gets little done, or asks for information many times but fails to move an intention into action, it creates a disorganised state that stops the flow of progress. 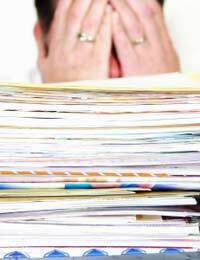 This disorganised way of working also unleashes stress and frustration and impacts on all members of a team. A leader must therefore be able to organise their schedule so that it encourages others to follow the example. By being organised a leader also demonstrates a wider selection of skills and management capability. A negative leader – with a glass half full mentality – does not inspire confidence in the people around him/her. Being positive about the work, information or ideas that a leader delivers is important because the general mood and feeling impacts on motivation and inspiration. A positive person can lead a team of people to do whatever has to be done in a confident manner and encourages communication and progress. A negative leader, on the other hand, struggles to influence a team to move forward. Although a leader will generally have the final decision on most matters, being too stubborn about making decisions does not foster a good working relationship with others. A leader must be able to strike a balance between listening and delivering information, and must also be able to balance their own perspective with that of other people. A leader who believes that they know best and refuses to listen to other points of view and/or opinions will find that the support of others is soon lost.